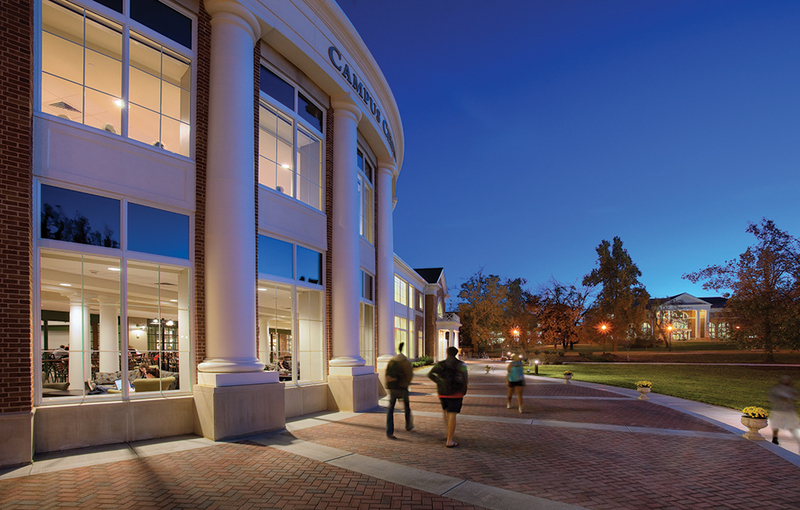 Dining, gathering and gaming create the new heart of the campus. 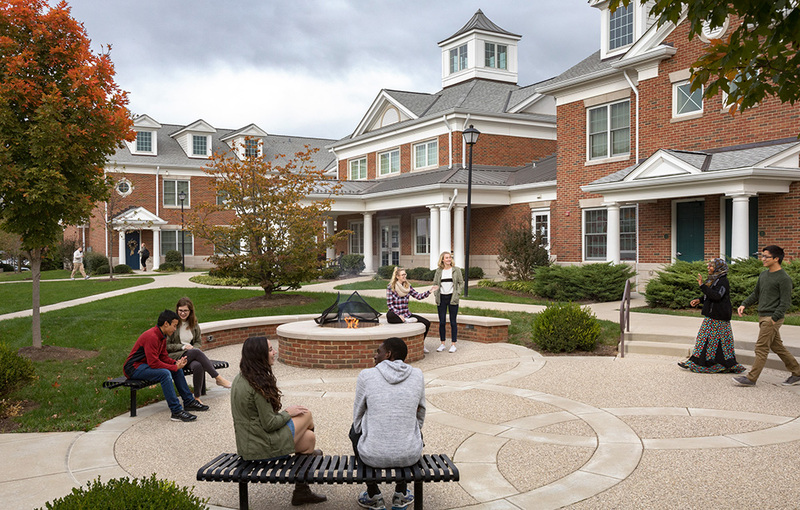 Founded in 1819, Centre College is ranked among the nation’s top liberal arts colleges. 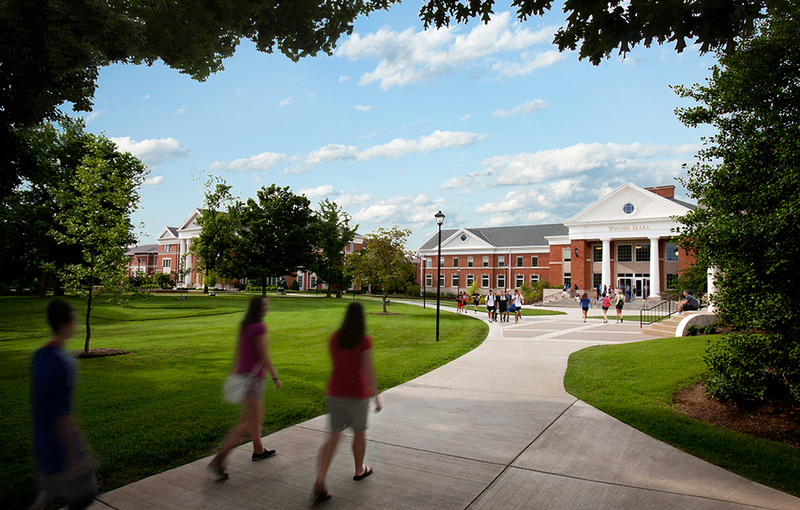 The campus is situated on 115 acres of rolling hills with 60 campus buildings. 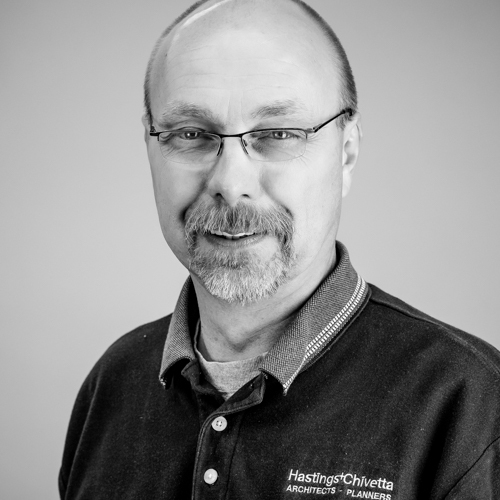 After completing a comprehensive Campus Master Plan in 2002, Hastings+Chivetta became the college’s campus architects, commissioned to provide design services for numerous projects. 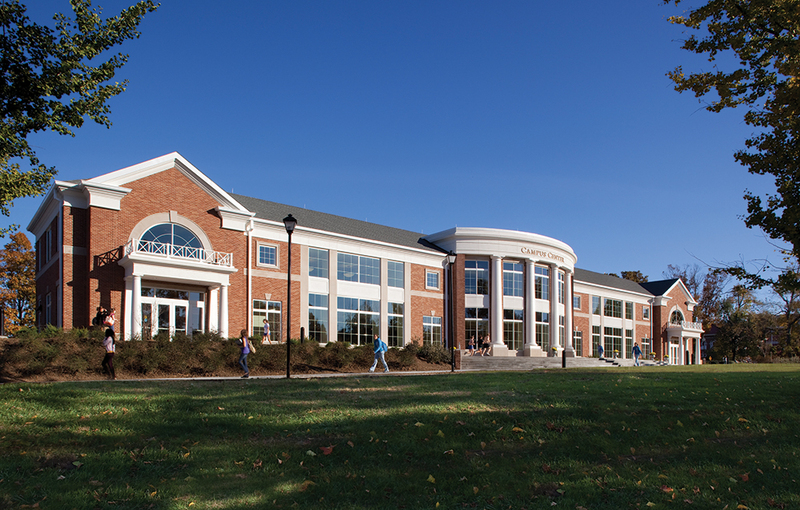 Recently completed is the two-level Campus Center. 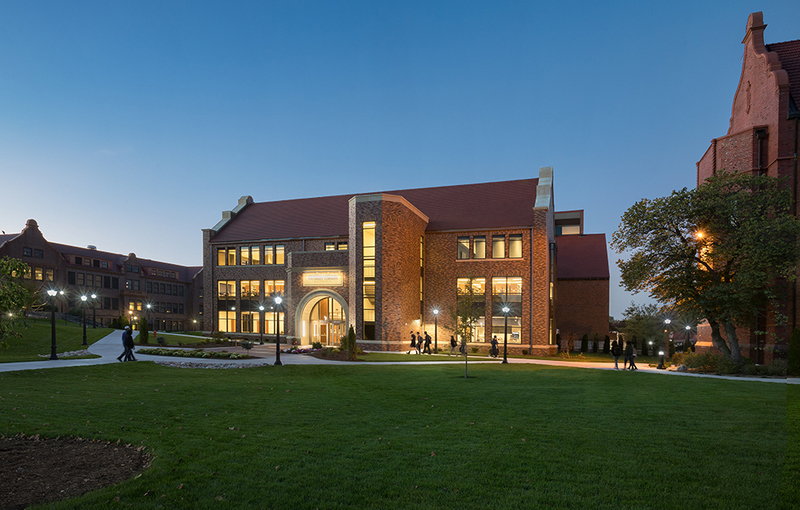 Because 98 percent of the student population lives in campus housing, the Center was designed for comfort and socializing. 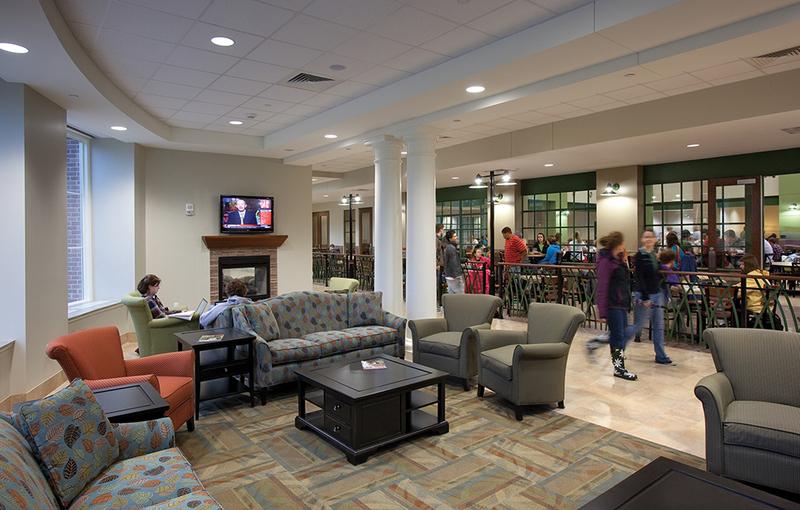 Informal seating areas are throughout the building, many surrounding fireplaces and TVs. 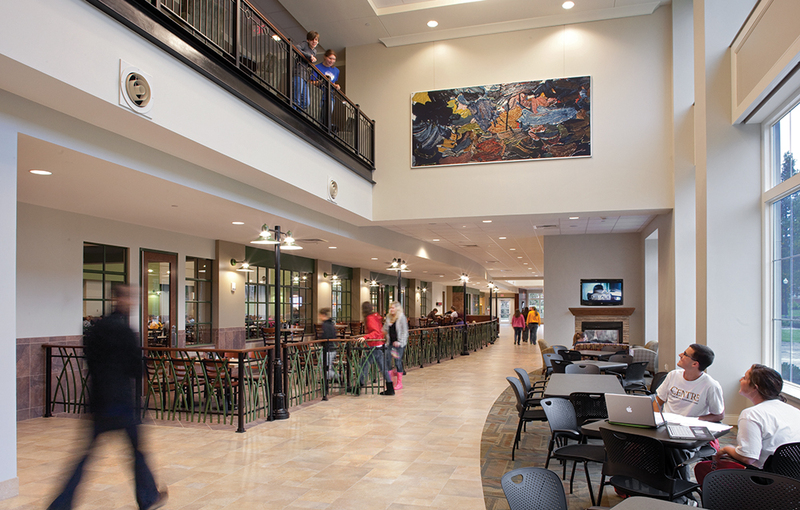 The first level includes two new dining facilities. 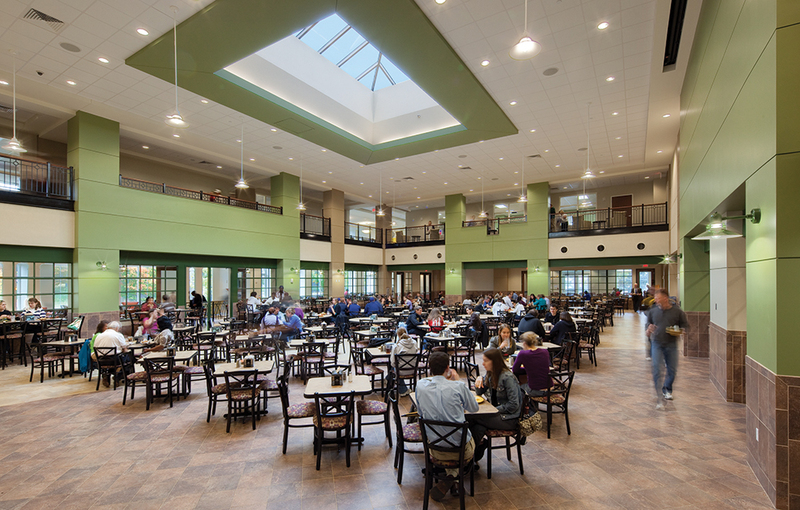 Cowan Dining Commons has a large food court featuring made-to-order stations, a spacious dining room with various-sized tables, two private dining rooms, and bistro seating along the main corridor. 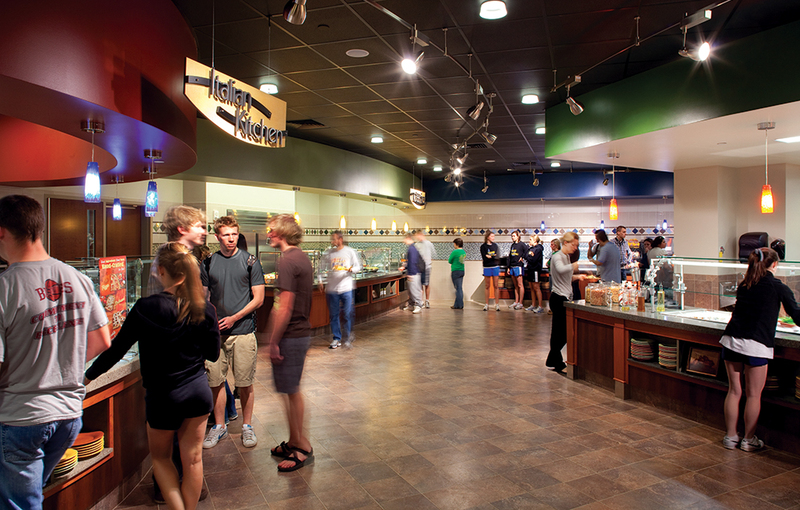 The Every Day Cafe serves grab-and-go snacks as well as grilled and fresh fare. 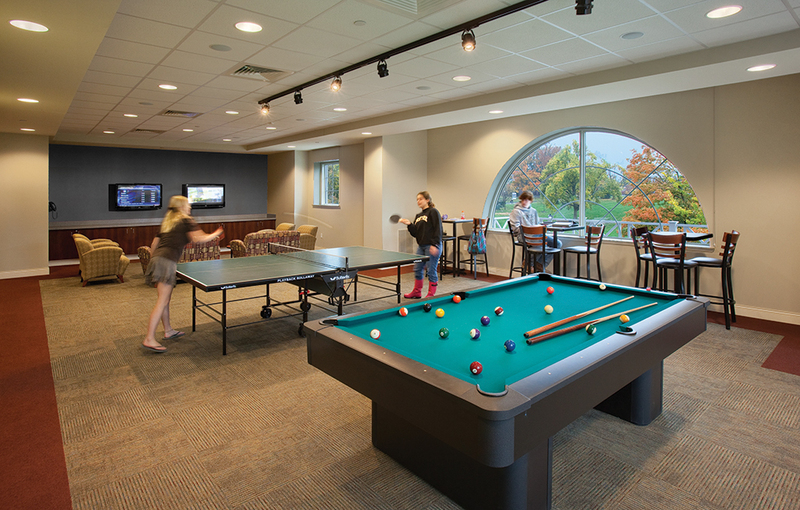 The second level has a game lounge with pool tables and Wii game systems. 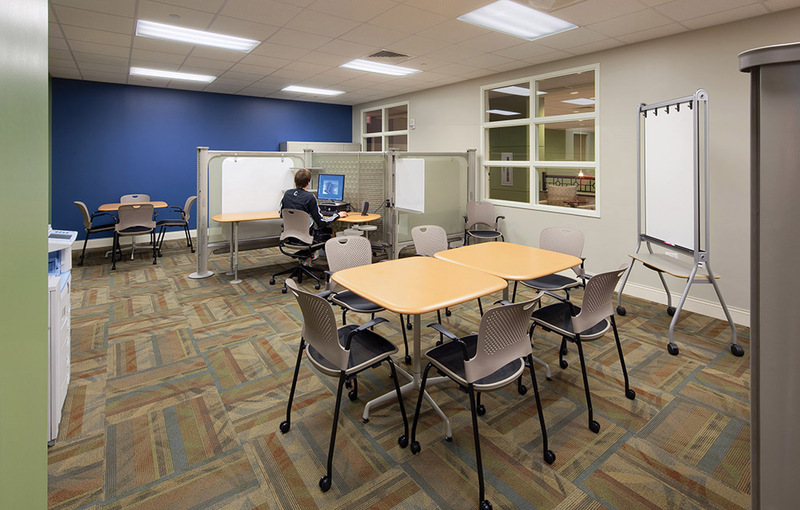 The Student Life Office suite has dividable meeting rooms; designated spaces for student organizations including student publications; storage lockers and an area to create campus signage. A large conference room is connected to a catering kitchen. 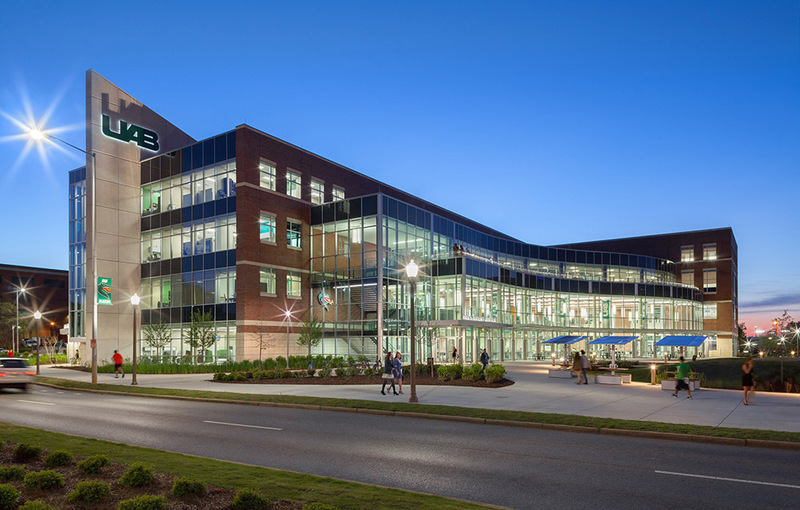 The Campus Center is LEED Silver certified.